I would like to present to you a new and tasty creation to serve at your next brunch get-together. 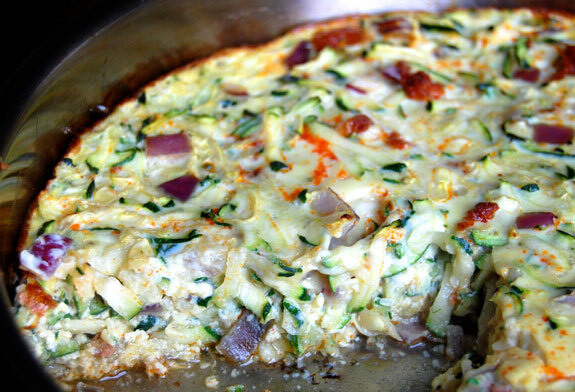 I wanted to try something a little different than the regular frittata, something with a little more oomph to it, so I decided to try a casserole that is mostly composed of zucchini. 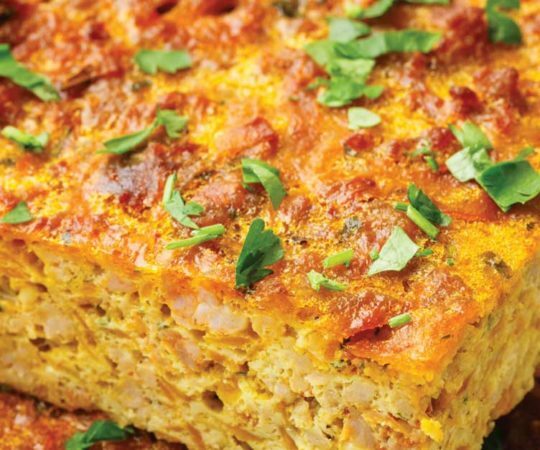 The addition of chorizo pairs perfectly, and this dish turned out to be a big hit among my friends/official taste testers. 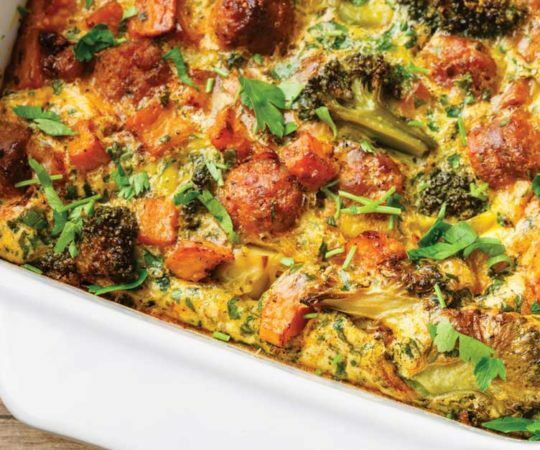 This zucchini and chorizo breakfast casserole is as simple to put together as a frittata, and packs in even more veggies. Don’t be shy when figuring out the size of zucchini to buy at the grocery store; the ones I used were huge. Don’t think of the recipe as an exact measurement of ingredients. Ratios will vary based on how much zucchini is in the bowl. You just want to have enough eggs to cover the whole mixture. So it could be four eggs, it could be six. If you really like chorizo, throw another one in the casserole. Not a fan of mushrooms – leave them out. There is a lot of room for give and take. 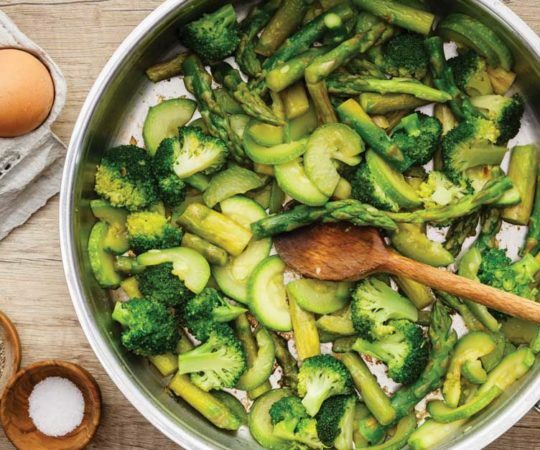 After the zucchini is grated and everything is stirred together, add it to a skillet and cook on the stove until the bottom is set. 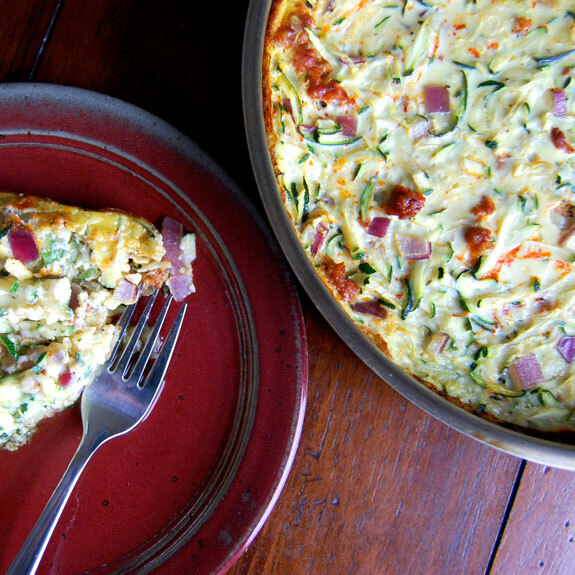 I know this step is similar to making a frittata, but since this recipe focuses on the zucchini more than the eggs, I felt that calling it a frittata was not adequate. It’s more of a casserole. 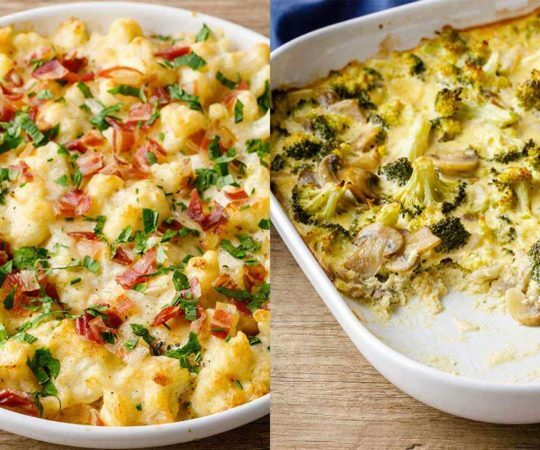 You finish the casserole in the oven, until the middle is no longer wobbly. It’s important to let it rest for a bit after taking the casserole out of the oven so that it can set up. I might have cut into it too soon out of eagerness and my piece of casserole feel apart on my plate. Of course, it was still as tasty and savory as any other piece, just a tad messier. It also turned out to be quite filling, and packed a lot of flavor. 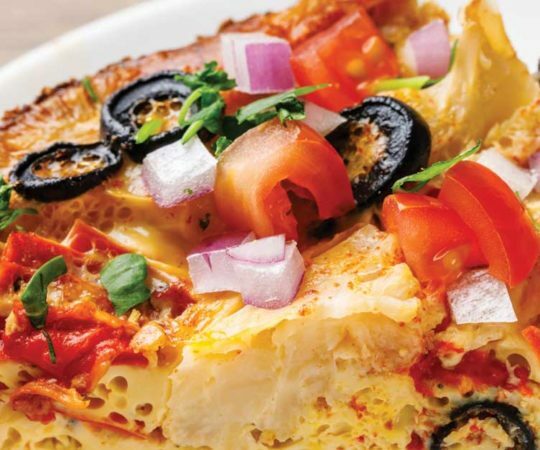 This unique zucchini and chorizo breakfast casserole is sure to impress. Preheat oven to 375 degrees F. Cook the chorizo in an oven-safe skillet over medium heat. Set aside. 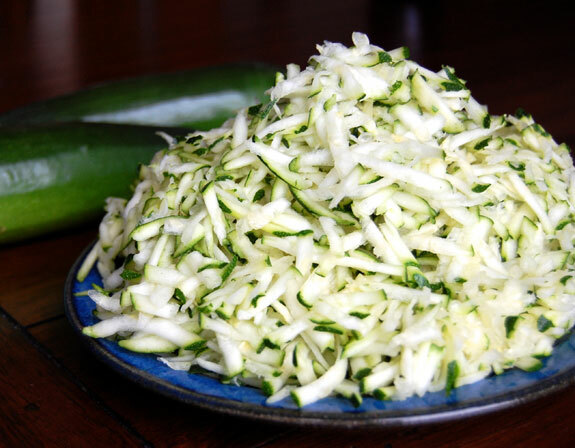 Grate all of the zucchini and put into a large bowl. Using a paper towel, press some of the moisture out of the zucchini. In a separate bowl, beat the eggs with salt and pepper. 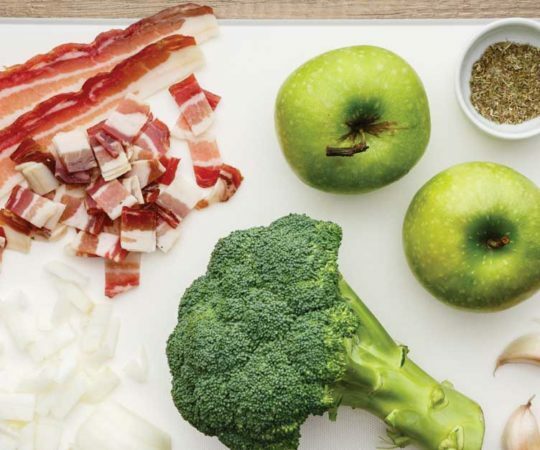 Combine all of the ingredients, including cooked chorizo, in the large bowl and mix together. You want to have enough eggs to coat the whole mixture. Warm about a 1/2 tablespoon of olive oil in the skillet over medium heat. 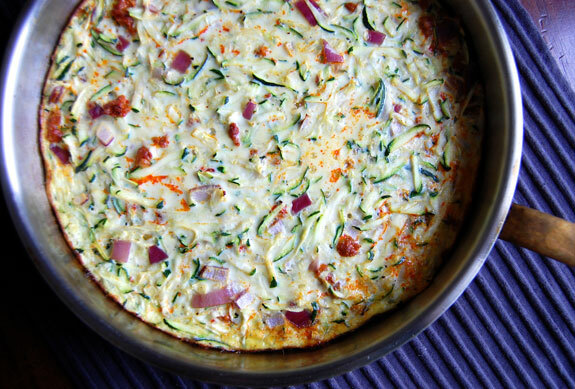 Add the zucchini mixture into the pan. Cover and cook about 5 minutes until the eggs start to set on the bottom. Transfer to the oven and bake for 12-15 minutes, until the eggs are firm. Remove and let rest for 5-10 minutes, then serve.